This study aims to investigate which one the most effective model between cooperative learning type snowball throwing and inquiry in science learning achievement. 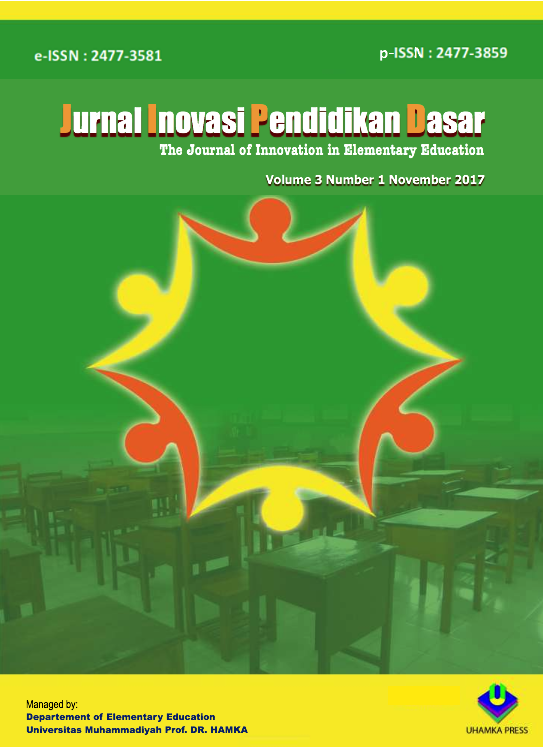 Sample of this study was 31 students of class IVA as experimental class I and 28 students of class IVB as Experiment II in one of elementary schools in Jakarta Timur. Research instruments were arranged according to indicators and in consultation with experts, then instruments were tested to students. The validity of the instrument was analyzed using the Biserial Point Correlation formula. While the reliability test used the formula KR-20. Prior to hypothesis testing, there were two prerequisite tests that consist of the normality test and homogeneity test. The normality test used the liliefors test and obtained both classes had the normal distribution. The homogeneity test used the fisher test and obtained both classes had the same variance. Based on the t-test, it can be seen that cooperative learning type snowball throwing was better than inquiry learning to students’ achievement in science learning. The implication of this result will be discussed in this article. ANISA, Feni; DEWINA, Zulfa. Cooperative Type Snowball Throwing and Inquiry: A Comparing the Two Opposite Models in Science Learning. Jurnal Inovasi Pendidikan Dasar, [S.l. ], v. 3, n. 1, p. 23-30, nov. 2017. ISSN 2477-3581. Available at: <http://jipd.uhamka.ac.id/index.php/jipd/article/view/64>. Date accessed: 20 apr. 2019.